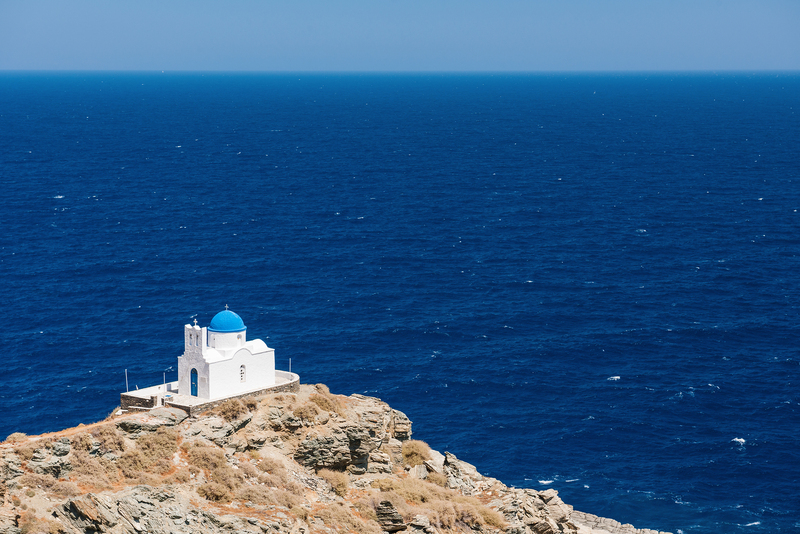 While on a crewed yacht charter of the Greek Cycladic Islands, be sure to visit the island of Sifnos. In ancient times, a very wealthy island due to the mining of gold, silver and lead, today, this island is a typical traditional Cycladic Island, has an economy that relies on tourism, and the production of a special island pottery. 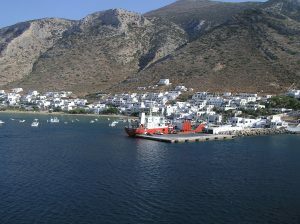 In recent years, Sifnos has become popular with the younger set. At night, this island does not sleep as there are bars and discos alive from sunset to sunrise. Visit Sifnos, on your crewed yacht charter, the island that does not sleep, which is filled with activity day and night. Modern excavations show that Sifnos was inhabited from the Neolithic Age, with the most important period of wealth in ancient history around the 6th century BC, when large gold, silver and lead mines were in production. Today remnants of the ancient mines can still be found on the island, all abandoned as mining came to a halt when the mines filled with sea water. In Ancient Times, the mine flooding was believed to be due to not paying the appropriate amount of tithes; however scientists in modern times know that the mines were flooded due to continuous digging in the mines below sea level. 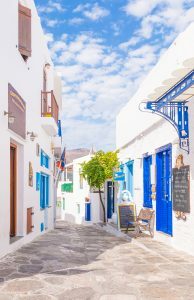 In more modern history, Sifnos came under Italian and Ottoman rule as did their neighboring Cycladic Islands, until Sifnos won their freedom, along with the other Cycladic Islands in the early 1800’s. 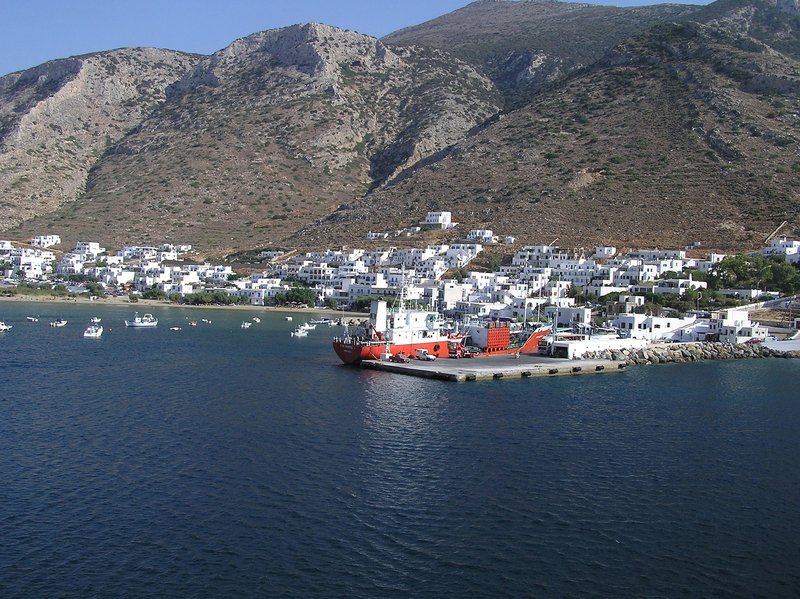 There are many things to see and do on the island of Sifnos. There are 365 churches and monasteries, one for each day of the year; with each dedicated to a different Saint for each calendar day. The most well-known monastery is Chrissopigi, located on top of a rock on a promontory connected to the rest of the island by a small bridge. This monastery houses the miraculous icon of Panagia Chrissopigi to whom more than 35 miracles are attributed, and who is now the Patron Saint of Sifnos. Just outside of Kastro sits the small church of the Seven Martyrs perched on a rock outcrop. This church may be one of the most photographed churches in the Greek Islands. The monastery of Prophitis Ilias Ypsilos is in one of the oldest buildings on the island. Built on the highest peak on the island, the monastery can be reached by a winding path from the village of Katavati. The southern side of the island has the most beautiful beaches, with crystal clear waters. Platis Gialos, Chrissopighi and Kamares are among the most popular beaches. While the lovely little village of Kastro has remnants of Venetian architecture, including an old fortress; Apollonia, is a typical Cycladic village filled with traditional Cycladic cubist style buildings painted white, and trimmed with blue. The Archeological Museum is located in a medieval building in Kastro, while the Folklore Museum is located in a Cycladic style building in Apollonia. Both are well worth visiting. On the road to Vahti, is the archaeological site of the Mycenaean Citadel of Agios Andreas, which is open to visitors, along with a museum also worth visiting. And don’t forget to visit the ceramics shops, as due to a unique clay found on Sifnos, there are many potters busy creating both artistic pottery and every day ceramics, such the chimney pots gracing the tops of many Sifnos buildings.